Is the Advice You Receive Actually Useful? that make up the habit loop. But what can you do with this information? How much advice that you receive is actually useful? And how much of it is just a summary of the problem or nod toward solutions, without any specific steps to take to get there? This topic has long interested me, especially as it relates to writing. The most common writing advice I come across has to do with writing cover letters and resumes. People will provide all kinds of general advice without ever giving concrete examples of how the language should look on the page. I see this problem a lot, and not just in writing. Any time I find a truly difficult problem for which people are seeking advice, the existing advice often dances around what to do to change the problem. 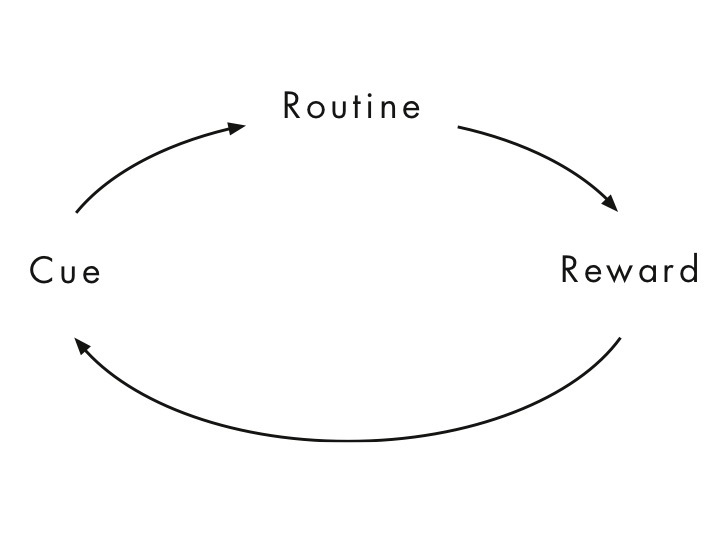 routine is not an end point, and the addition of the "craving." A few weeks ago, Boyfriend and I heard Charles Duhigg, who wrote the fantastic book The Power of Habit, speak about his book. After the talk, we debated whether Duhigg had shared any concrete advice about how to actually change a habit. There were some actionable steps hidden in his talk, but they weren't totally explicit. For example, he showed video from an experience in which children were left alone in a room with a marshmallow and told to not eat it. The children who found the will to not eat the marshmallow all had strategies for staving off their enticement. One trick was to "visualize the reward," which in this case was a second marshmallow. One kid who resisted the first marshmallow and earned that second marshmallow said he imagined what he would do when he got his reward: stuff both marshmallows into his mouth at once. And he did. It was cute. But the actionable advice there is to "visualize the reward," picture it and spell it out in detail. When will you reward yourself? What will the reward be? How will you appreciate the reward? Duhigg's work emphasizes the importance of "habit loops" in shaping what we do on a daily basis and whether we can make changes in our lives. He writes that there is a routine, a reward, and a cue. And he hints, but does not explicitly say (if I'm not mistaken) that self-awareness is the first step in changing the cycle. If you are not aware of your routines, cues, and rewards, you cannot expect to change them. Another example he gives is his own habit of eating a cookie in the afternoon at work. As he became more self-aware of the habit, he identified that he carried out this habit not because he had a sugar craving every afternoon, but because he wanted to interact with his co-workers. He needed a break. So he ditched the cookie and switched to gossiping instead and lost a bunch of weight. He couldn't have done that had he not been self-aware of the reward, which in this case was originally misidentified as a cookie. He didn't really want the cookie. He wanted a break and interaction with colleagues. But "being self-aware" is really hard. That's not exactly actionable advice. I think the really actionable advice would be more like "write down your routine and how you're feeling to explore whether you have an accurate idea of the causes and effects." Bad advice would be to try replacing the reward with a different reward and see if it works--it's bad advice, I think, because a habit by its very nature isn't something that will change easily after one attempt. And even if you decide to replace the reward five times in a row or some such, how do you remember to do so? Again, the very nature of a habit is that we do it almost without thinking. Anyone who has tried to change a habit will know that remembering to act on the change you've decided to make is extremely hard to do. The kind of advice I'd like to read would offer examples of ways to do the remembering part.